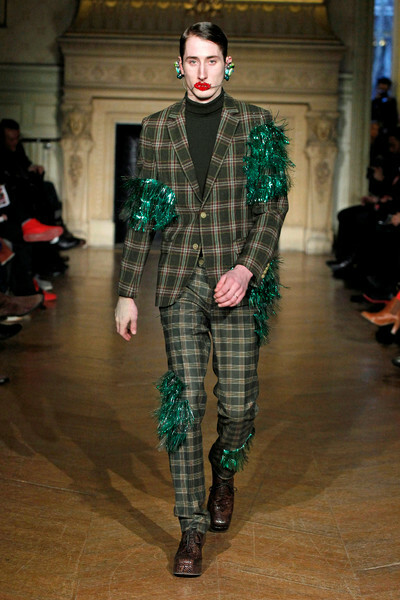 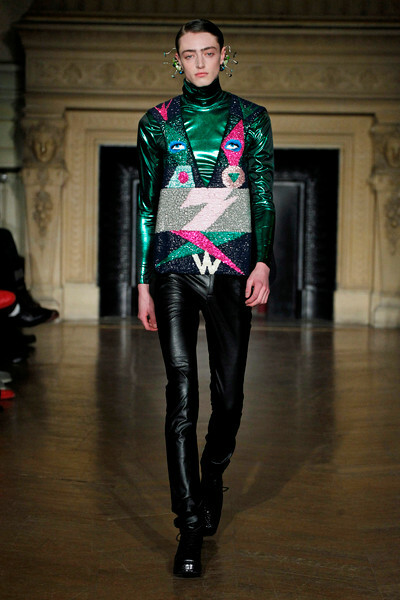 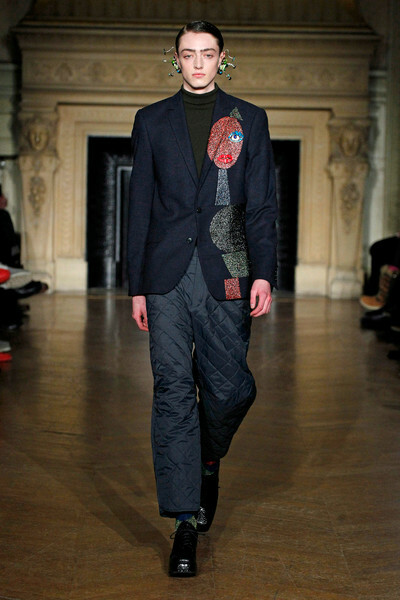 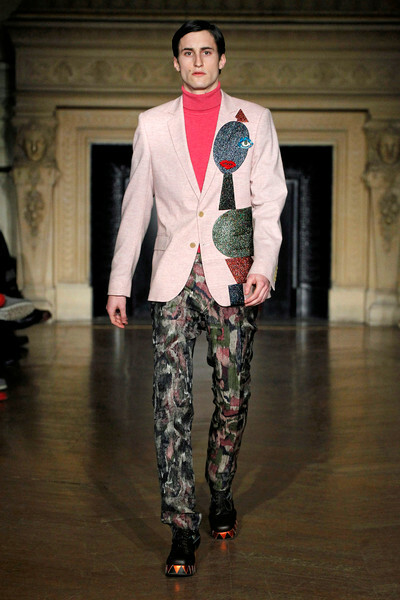 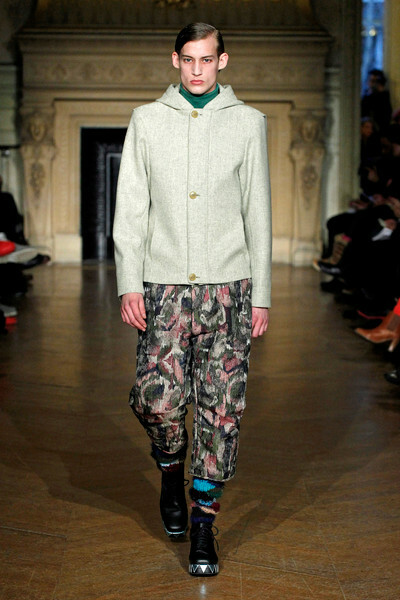 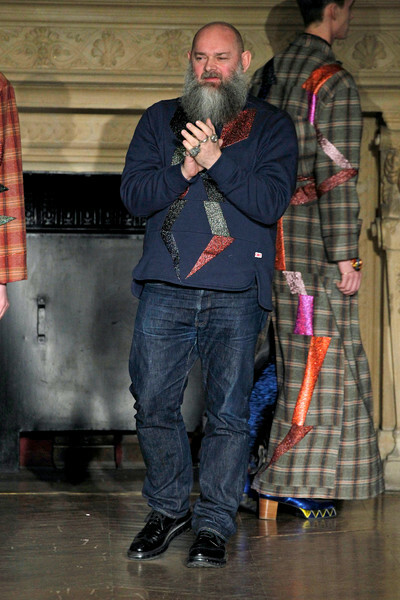 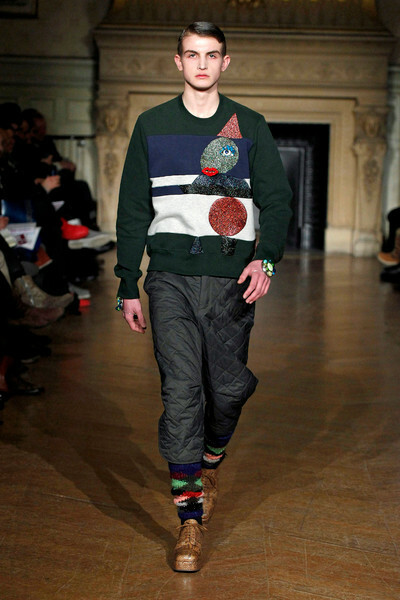 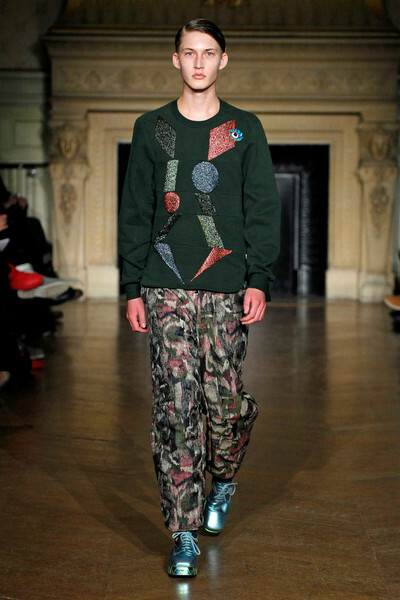 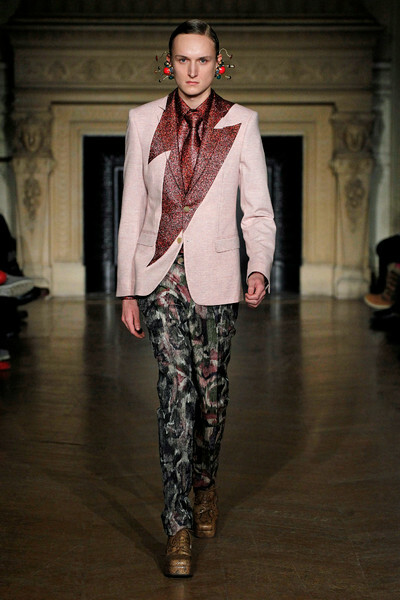 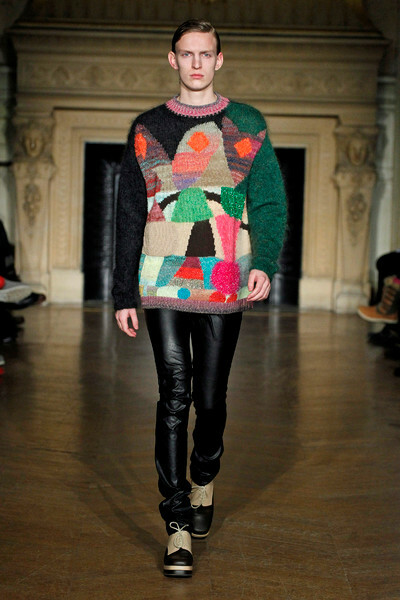 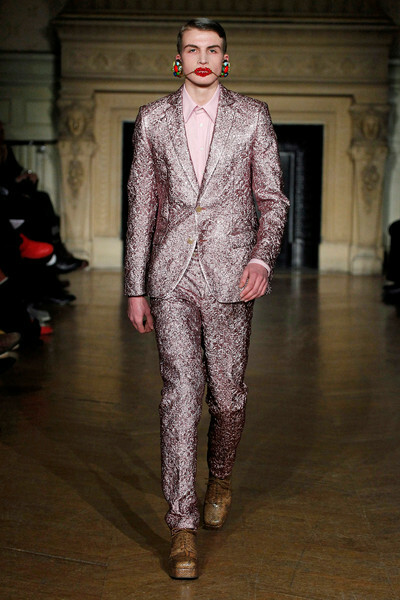 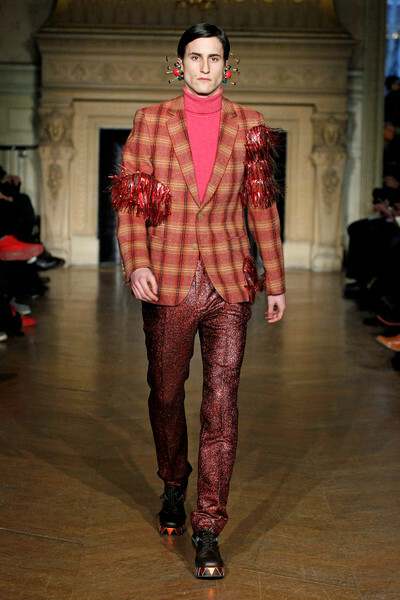 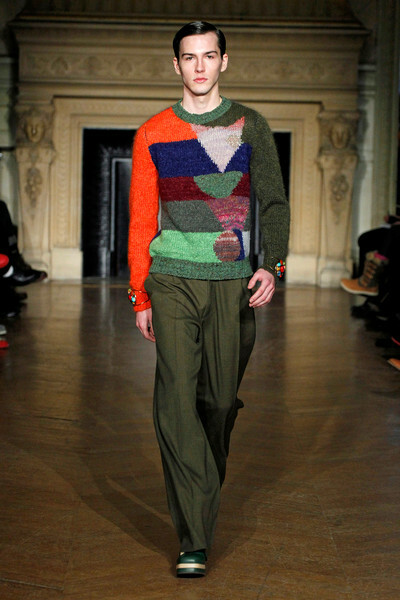 We’e not sure how the male models felt afterwards, but the van Beirendonck show sure put us in a good mood. 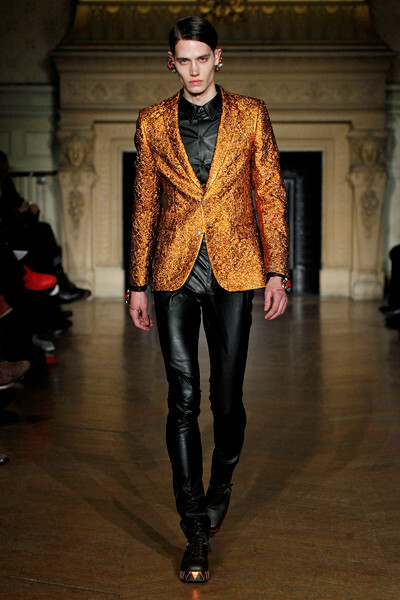 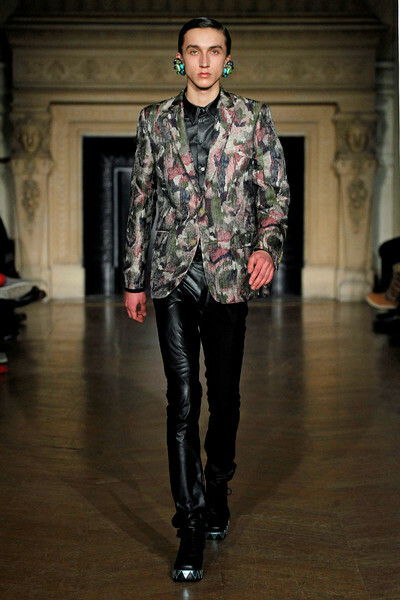 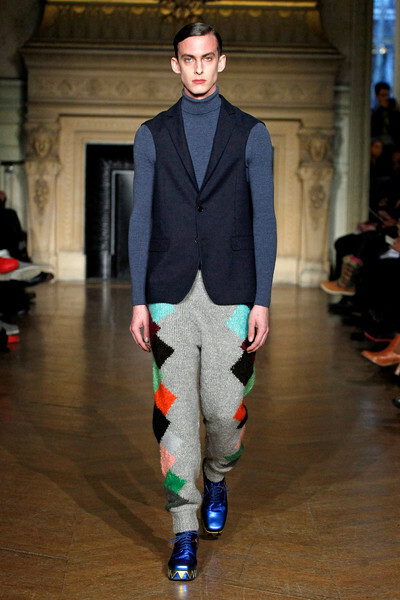 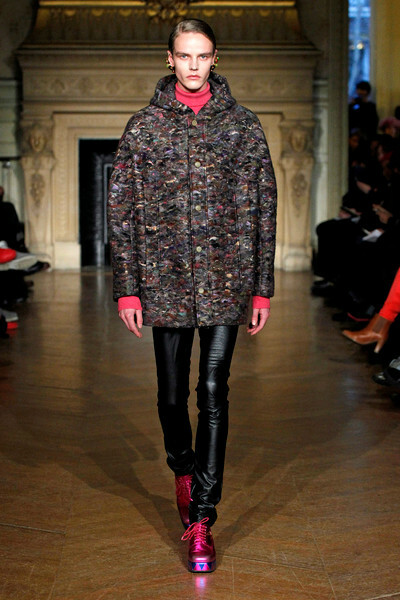 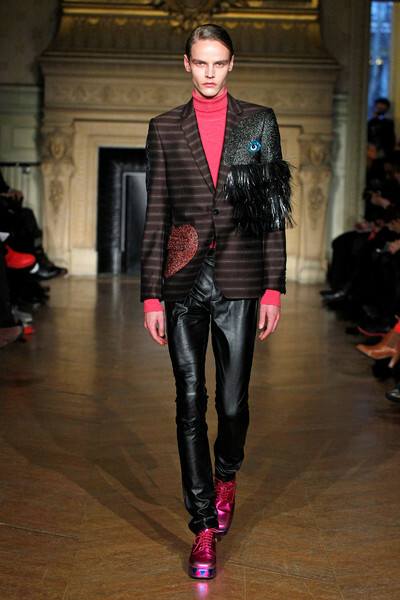 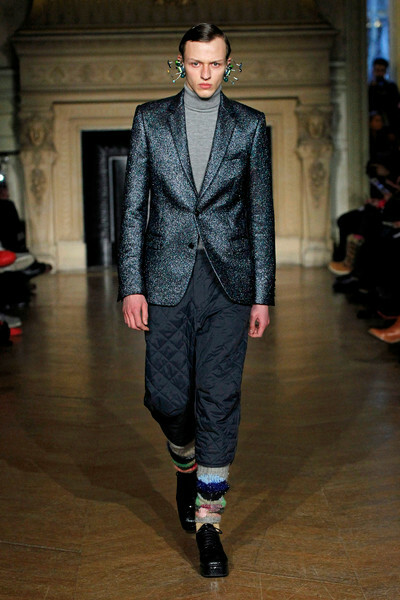 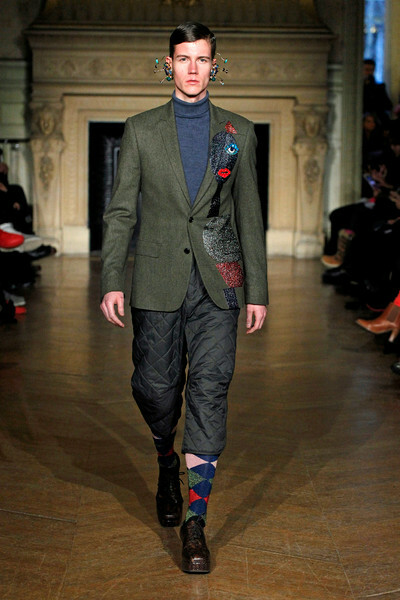 The Belgium designer showed some pretty street chic on trend quilted pants, followed by black leather, busy printed, XXL and argyle ones. 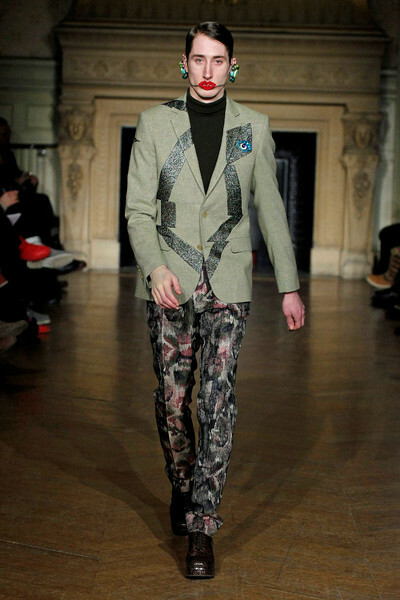 And it was not just those pants that made us smile. 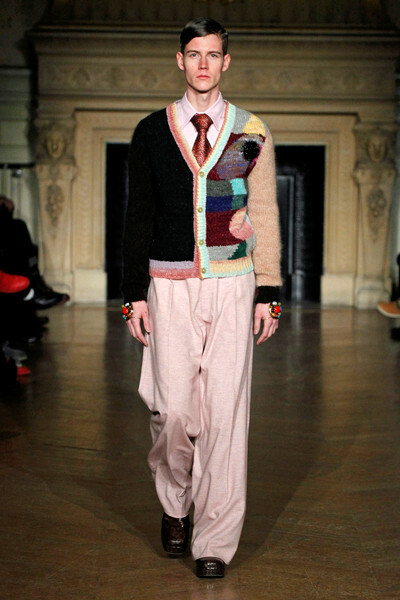 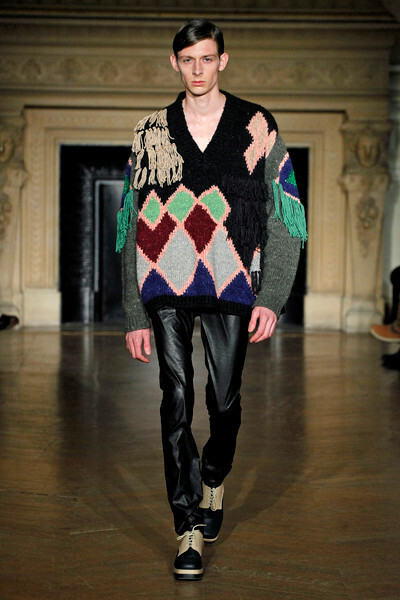 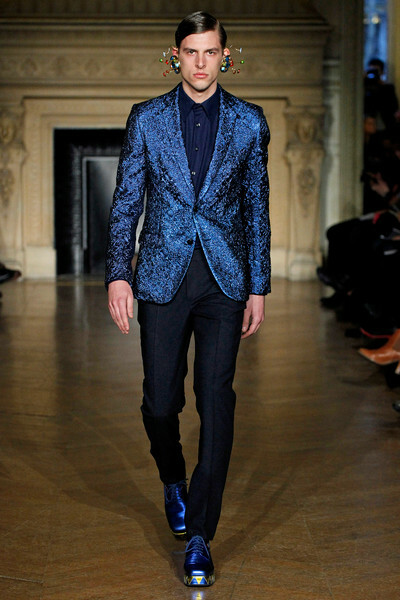 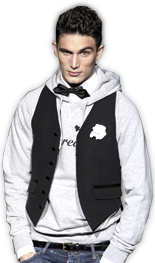 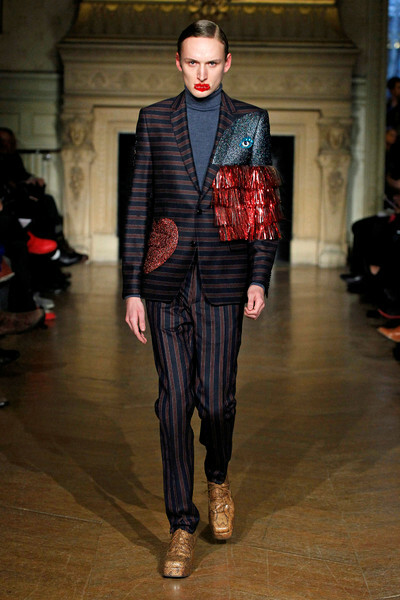 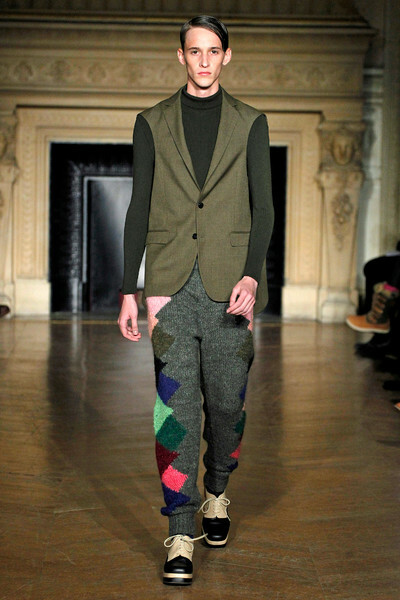 Walter created suit jackets, vests and knitted sweater in the same style. 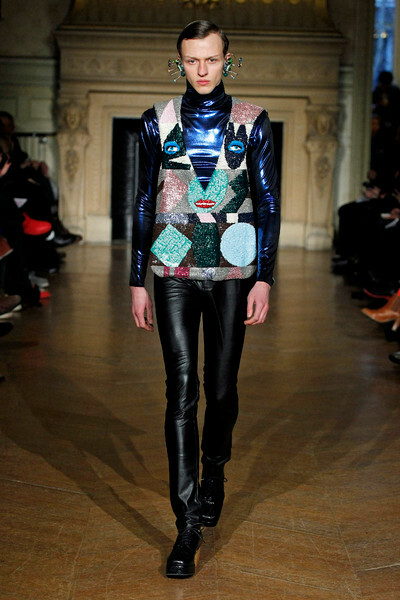 All very colorful with a shiny disco twist. 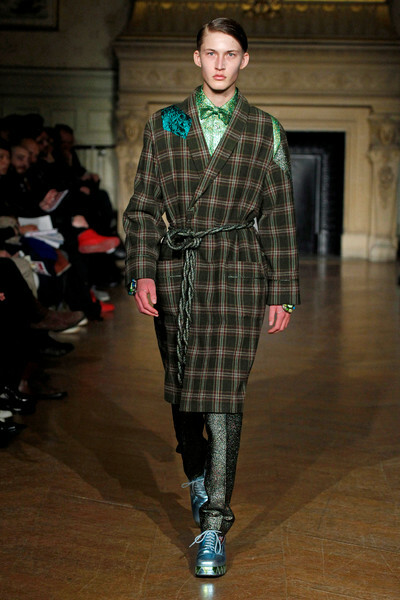 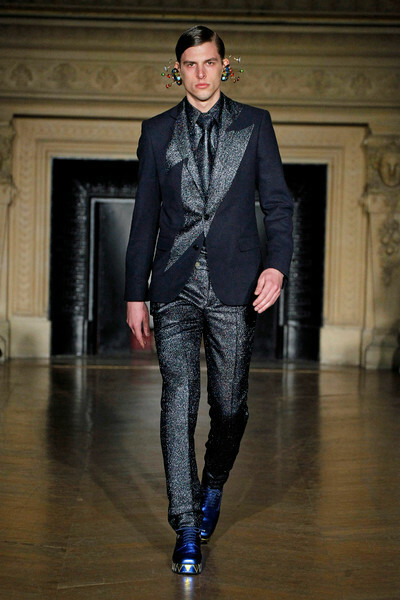 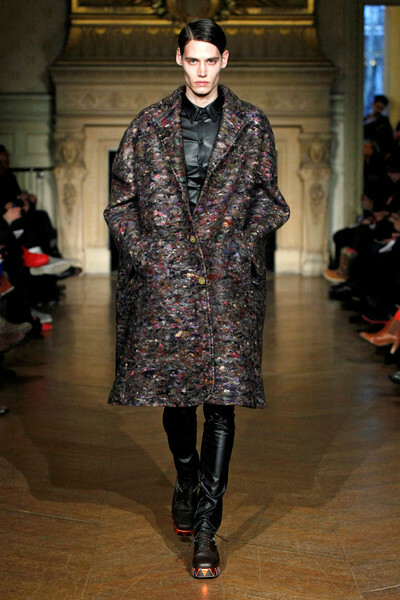 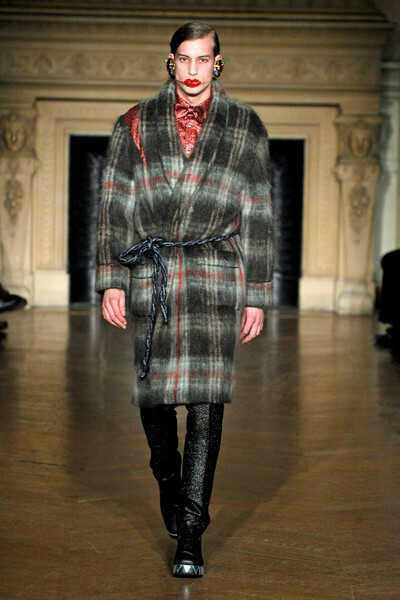 Checked bathrobe like coats got metallic fringes as extra eye catchers; the same kind of colored metallic that was used for the shoes, mouth and earpieces. 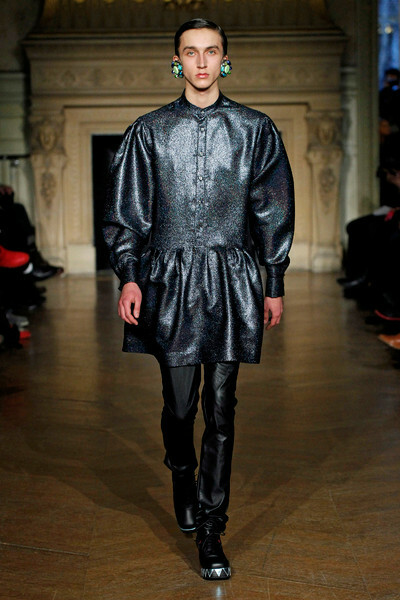 A theatrical collection like you could expect from a Opéra Garnier costume designer.